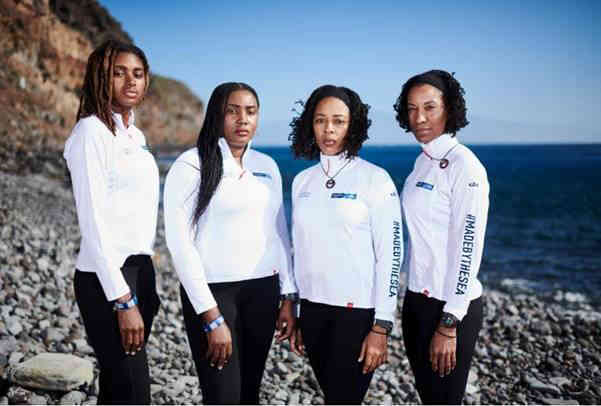 All roads will lead to the historic Nelson’s Dockyard in English Harbour this evening where thousands of residents will converge for the much-anticipated arrival of the Team Antigua Island Girls who are on the final leg of the Talisker Whisky Atlantic Row Challenge, dubbed the world’s toughest row. Kevinia Francis, Elvira Bell, Christal Clashing and Samara Emmanuel set off from La Gomera, Canary Islands, on 12 December 2018 for the 3,000-mile journey that culminates at English Harbour. They are expected to dock sometime early afternoon today Monday 28th January, 2019. Throughout the duration of the journey there has been an outpouring of love and support for the all-female team which is seeking to raise funds for the Cottage of Hope, a shelter which offers short and long-term residency to girls who are abused, neglected or orphaned. The Antigua and Barbuda Marine Association (ABMA) was one of the entities to join in solidarity with the quartet of pioneering females by organizing a rowing event at the Antigua Yacht Club where four rowing machines were set up and individuals invited to row for 15 minutes, 30 minutes, or an hour. For each time slot, various monetary donations were made – $28 for 15 minutes; $35 for 30 minutes and; $50 for one hour. 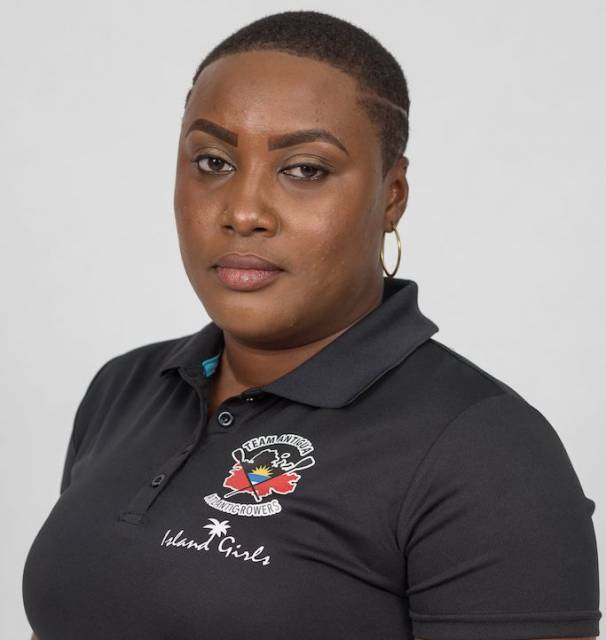 Media personality Petra Williams also pledged on social media that she would do push-ups every day until the female rowers arrive back home. On the weekend Williams stated, “not sure which I am happier for, Team Antigua Island Girls are one day out or the last days of push-ups! Their persistence through many challenges has been amazing. A definite beacon and reminder to all of us that even though life gets rough, buckle down and do it”. Noted soca artiste Claudette “CP” Peters launched a no-sugar campaign, intended to last until the team’s arrival. Renowned soca artiste King Onyan of ‘Burning Flames’ fame did a remake of the 1989 Island Girl hit in honor of the first all-female black rowing team. Schools and other organisations hosted their own events and posted videos on the team’s Facebook page under the caption #RowandComeEen!. Nationals have been purchasing Team Antigua Island Girls shirts as a show of support. On Thursday the Cabinet of Antigua and Barbuda disclosed that today’s Budget Debate will be shortened as parliamentarians from both sides journey to English Harbour to welcome the team. Meanwhile, Jacqui Southwell Williams, a marketing consultant with the National Parks Authority, is advising residents that the authority will be offering a park-and-ride service in anticipation of the traffic that is expected at English Harbour. She said people will be asked to park in specified locations and board a shuttle that will be available. The authority is also warning against the use of drones at English Harbour this evening. The first Antiguan woman to become a RYA certified yacht captain, at 32, Samara has more than 12 years’ seafarer experience. She is also a certified day skipper, coastal skipper, yacht master and boat master among a lengthy list of certifications. Currently employed at Jumby Bay as a boat mate, Samara has a passion for racing and delivering boats. She said her best time is being alone at sea at night. “I have completed countless solo deliveries across the Caribbean and I welcome the solitude and the chance to tap into myself and to get to know my boat and my capabilities.” Samara set her sights on an Atlantic crossing long before she became aware of the TWAC. When opportunity knocked, she quickly said yes. 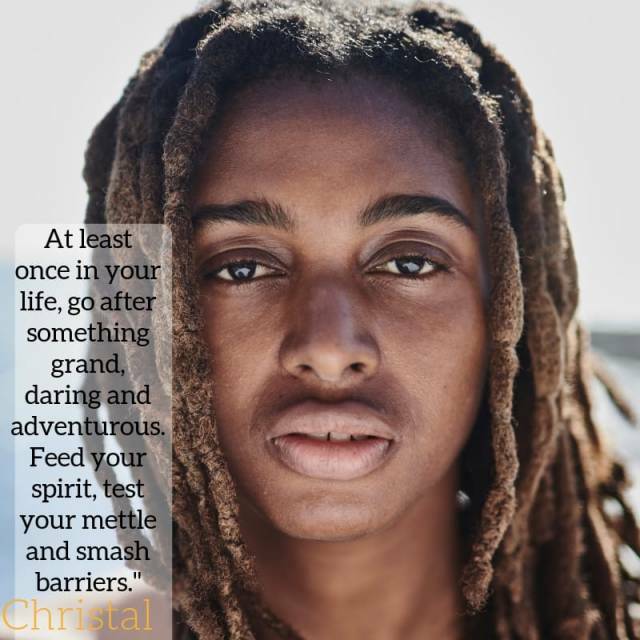 In 2004, Christal made history as the first female swimmer to represent Antigua and Barbuda at the Olympics. The 28-year-old adventure guide and travel writer lists as her sports, swimming (pool and open water), stand-up paddling (instructor) and the occasional triathlon. 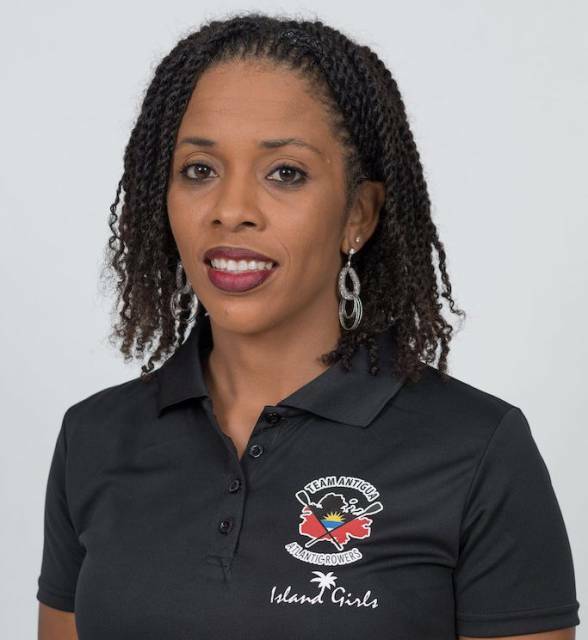 Christal relished the chance to join Team Antigua Island Girls. A few years ago, an encounter with a group traversing the Caribbean in a dugout canoe, retracing the steps of the Amerindians, piqued her interest and set her on a quest for a seafarer adventure. “I immediately jumped at the chance,” she said. In addition to rowing to be the best among the women’s division, Christal sees the TWAC2018 challenge as the opportunity for her to test her mettle and to come out on the other side of the cross-Atlantic row physically and emotionally stronger. Any one who knows Kevinia knows that she rarely backs down from a challenge. 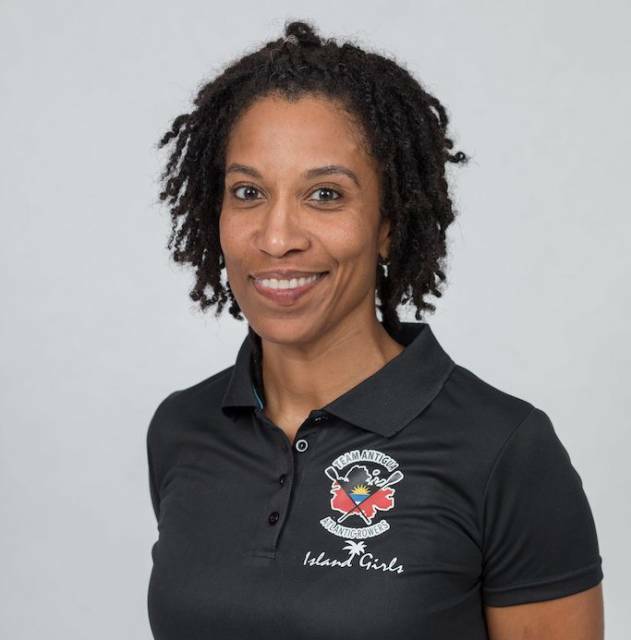 She began imagining an all-woman crew in 2015 when the first team from Antigua and Barbuda, Team Wadadli, entered the event. In her own words, she said an instant yes “because this challenge epitomizes all that I live for in one go: sports; travel; competition; country; charity; new experiences and; creating memories.” The 40-year-old is a certified health-and-fitness trainer and a bar manager at Island B-Hive Party Stand. She’s a title-winning, all-round athlete who excels in basketball, cycling, martial arts and track-and-field. Completing the more than 3,000-mile row is a basic for Kevinia. The goal for the TWAC2018 is to best among the women and to challenge to be the best overall. A natural athlete at ease on the track, in the dojo, in the gym or in the pool, Elvira is a Level 2 Learn-to-swim Instructor and a certified health coach. Her passions are natural health and wellness. The 36-year-old earns her living as a flight dispatcher at LIAT 1974 Ltd. Initially, she said no when asked owing to a bad boating experience. It turned out that the answer was simply reflexive and, after consideration – and subliminal gestures from teammate Kevinia – her adventurous side kicked in. This is 17-year-old Junella King. Her sport is sailing which she’s been doing for three years and her passion is sailing. Junella juggles school and her sport with part-time employment as a RYA dingy sailing instructor. Her interest in the Challenge was stoked when Team Wadadli, post race, visited her school, All Saints Secondary. “They talked about their experience and showed us around the boat and, since then, I knew I was going to do this,” she said. 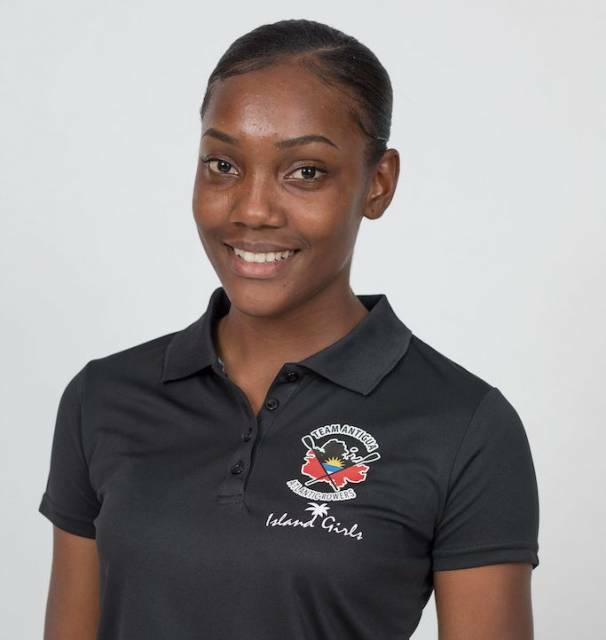 She’s keen to represent Antigua and Barbuda and to stake a bid to being among the champions.